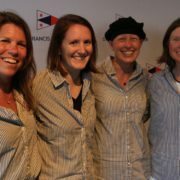 Bill has served on the Board of Directors of St. Francis Yacht Club, as board chair of the San Francisco Bay Sailing Association, and chair of the Executive Race Committee. He also served as PRO for the St. Francis Yacht Club Big Boat Series along with Tony Chargin. A sailor from age 5, Bill, along with his skipper Don Trask won the Star North American Championships and placed 3rd and 5th twice in the Star Worlds. 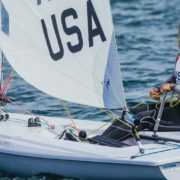 He also Crewed for San Diego sailor Kim Fletcher placing 5th and 9th in the Star Worlds. Outside sailing he has been Chair of the Napa Valley Workforce Investment Board, President of the American Composites Manufacturers Association and a founder and current President of the Digital Fabrication Network. Bill and his wife Jacque, a sculptor, live in San Rafael and enjoy traveling and staying engaged in their respective businesses and hobbies.